Today the rose is among the most popular garden flowers, but it was traditionally valued more for its healing properties than its beauty. Pliny listed more than 30 medicines that could be derived from roses. Rosa gallica officianalis is thought to be the medicinal rose cultivated by the Romans and was later adopted as the rose of Lancaster. The flowers were used by the Greeks, Romans and Egyptians in perfumes and oils and were thought to ward off the plague. The Victorians used rose petals in jellies, sandwiches and even in rose petal tea. 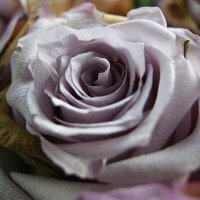 Garden lore says that you should plant a rose in any month that has an 'r' in it, but for the sake of your new plant, avoid the very bitter winter months. Choosing the perfect roses for your garden. Red Roses: Choosing red roses can be quite difficult. For example, some red blooms can look streaky or even faded depending on the light. 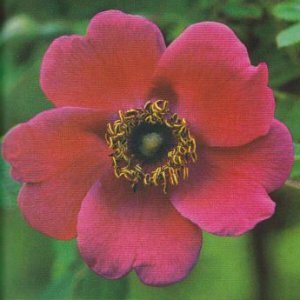 Choose dark red varieties, such as 'Royal William' or 'Velvet Fragrance' for positions in full sun and lighter reds, such as 'Alexander' or 'Loving Memory', for bright areas that are not so sun-drenched. Set off brightly coloured red roses against a dark green backdrop such as a shrubby hedge or a painted trellis. Some red roses can look almost black in very bright sunlight. 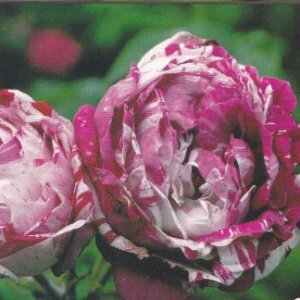 If this is the effect you are after plant roses that are purplish red or crimson in hue, such as 'Deep Secret' or 'Guinee'. Truly black roses have not yet been developed. a wide range of species and varieties, all with a proven track record. Try some of these old favourites in your garden. Bush and shrub roses: 'Ballerina', light pink; 'Buff Beauty', yellow and buff; 'Cardinai de Richelieu', purple; 'Fantin Latour', soft pink; 'Hansa', bright red; 'Mrs John Laing', a delicate pink; 'Mme Caroline Testout', satin pink; 'Felicite Parmentier', pinkish white with bluish leaves; 'Reine des Violettes', rich purple, fading to lilac; 'Variegata di Bologna', unusual crimson-striped white flowers. Widespread ground-cover: 'Max Graf' , bright pink. For Planters: 'Little White Pet'. For hedges: 'Stanwell Perpetual' and 'Roseraie de l'Hay'. 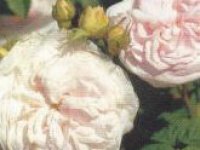 Climbers and ramblers: 'Blush Noisette', delicate pink; 'Cecile Brunner', pink: 'Dorothy Perkins', light pink; 'Felicite et Perpetue', white. Late colour: If you want a low-maintenance shrub rose with glorious autumn hips to brighten your garden at the end of summer then consider Rosa glauca. It has beautiful blue-grey leaves, a mass of pink single flowers and bright red hips. 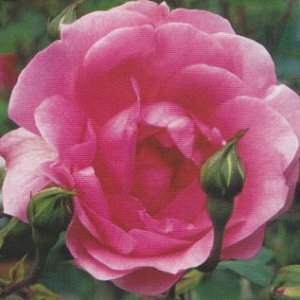 Top tips for choosing roses: Roses are versatile plants, but some are more suited to particular situations than others. 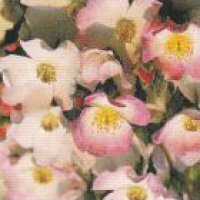 Species roses: These are vigorous plants found in the wild or bred close to the wild species as hybrids and are often used to brighten boundary hedges or in natural plantings. Old roses: Their gentle colours, sweet scent and the varied and appealing shapes of their blooms make them perfect for cottage, country or period gardens. Hybrid tea roses: Highly scented and good for cutting. Team with old-fashioned flowers to soften their bright colours. Floribunda roses: Ideal for creating blocks of colour in mass plantings. Their long flowering season suits a mixed border. Modern shrub roses: Bred to combine all the best features of roses - fragrance, beauty and disease-resistance. 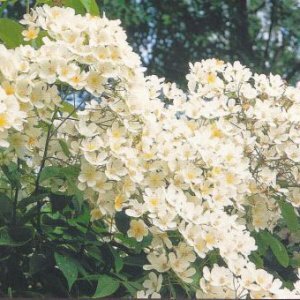 Climbing and rambling roses: Use to clothe arches, obelisks, walls and trellises, or train along ropes for swags of flowers. 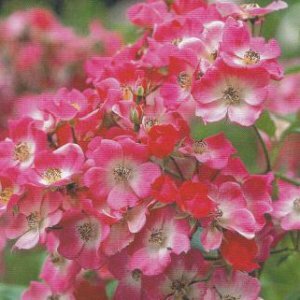 Miniature roses: are ideal for growing in planters or at the front of a mixed border. 1. 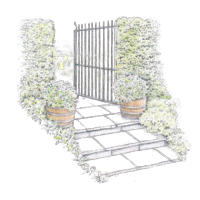 Cover a wall: If you want to grow roses over a large structure, plant 'American Pillar'. 1a. 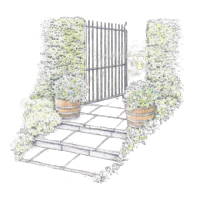 Cover a wall: If you want to grow roses over a large structure, plant 'Handel'. 2. Colour through winter: Rosa moyesii is one of the ancestors of modern roses. It has ornamental hips. 3. A vigorous rambler: Rosa filipes 'Kiftsgate' flowers profusely over a short period in early summer. lts branches will reach o height of 9m and will spread up to 6 metres across. 4. An old rose: 'Variegata di Bologna' is a hardy Bourbon rose that oozes charm. lt needs tying to supports. 5. Flowers till autumn: 'Centenaire de Lourdes' is a wonderful floribunda with a long flowering period.